What is Ceres? Where is it? Here is a good visual representation of it. 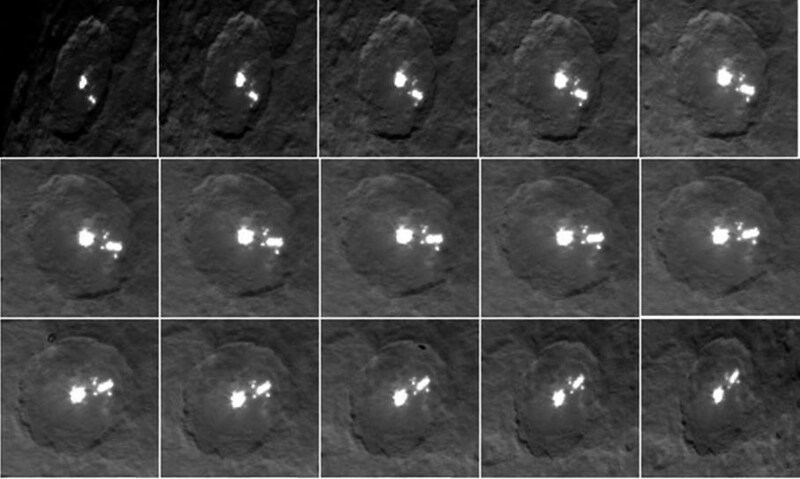 Some other interesting information on Ceres before we continue. 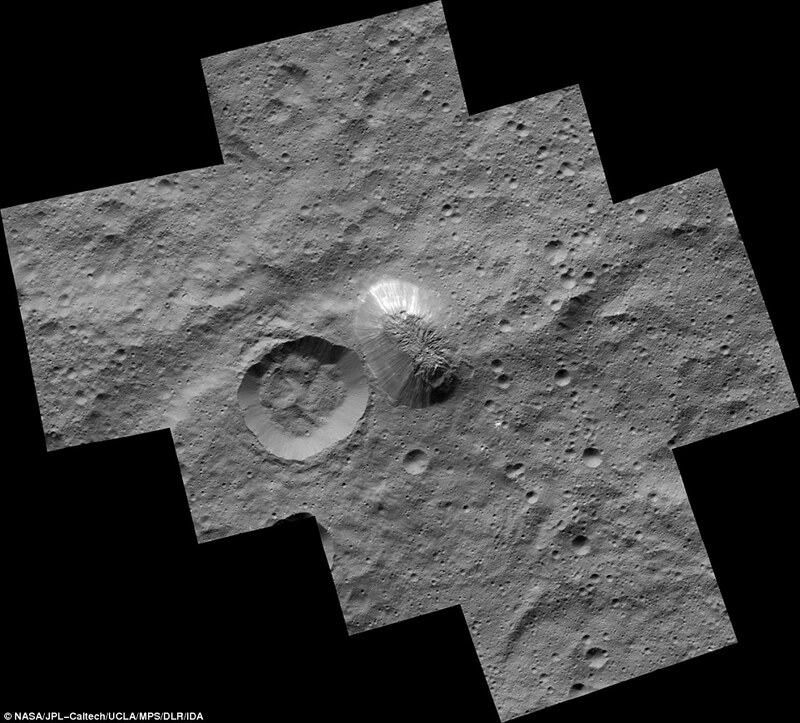 This enhanced color composite image, made with data from the framing camera aboard NASA's Dawn spacecraft, shows the area around Ernutet Crater. 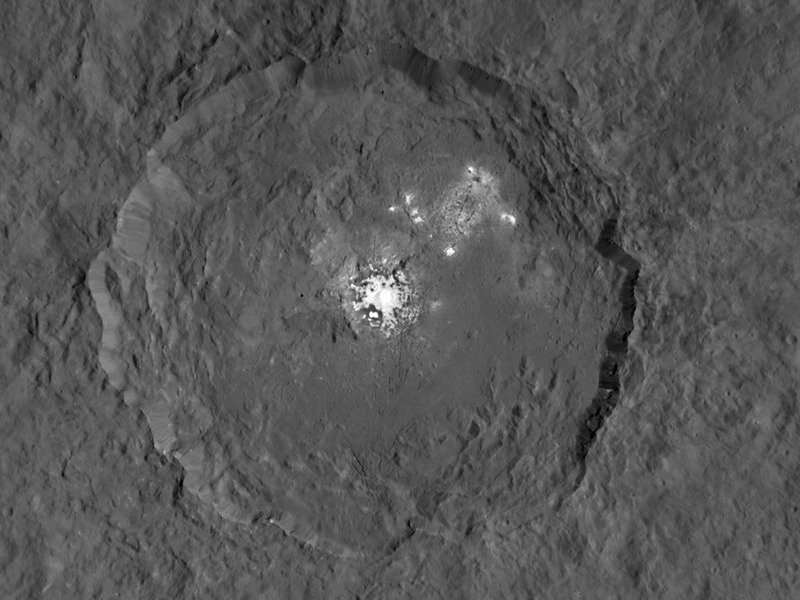 The bright red portions appear redder with respect to the rest of Ceres. To read the full article on the discovery, click here or scroll to the bottom. Below are some pictures of these bright spots. the crazy part? those lights could be from 1,000 years ago. Right?! 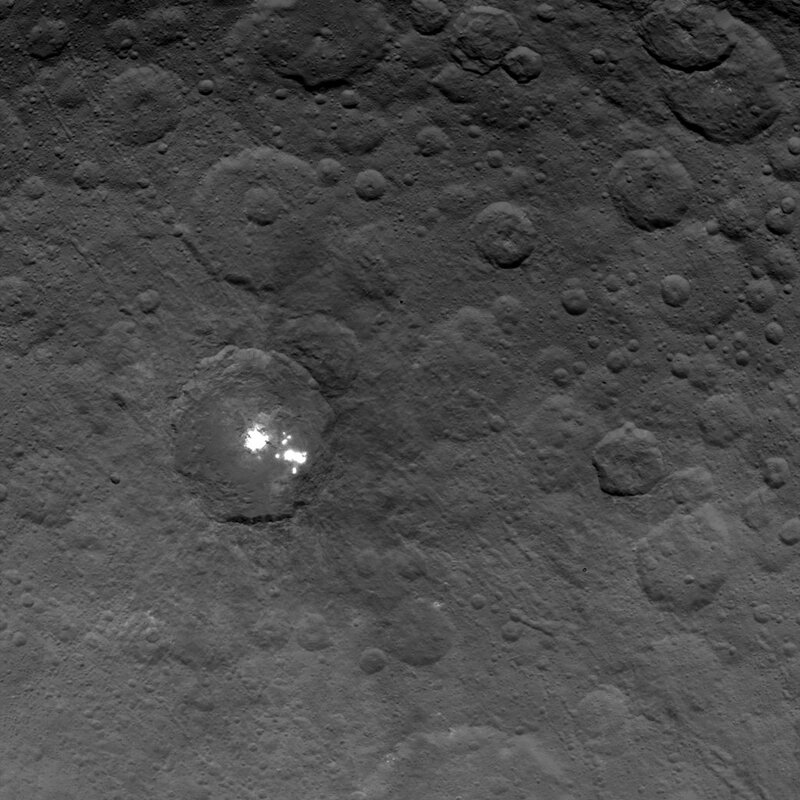 Not to mention that there is also a pyramid/dome on ceres as well. I am going to write up an article on this as well. 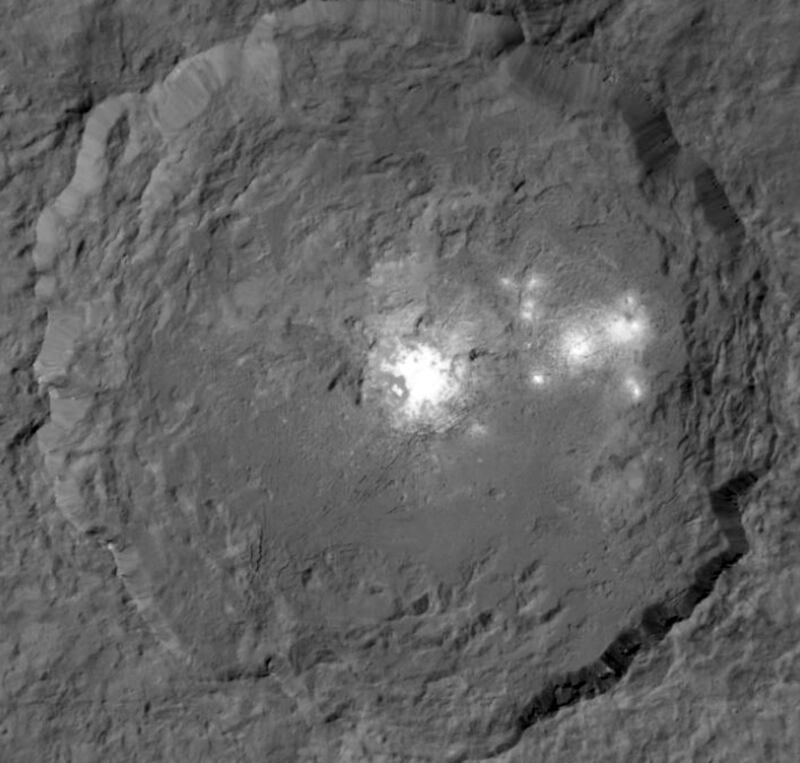 Ceres is quite the interesting story. And this is just one dwarf planet. There is also a black satellite that orbits Pluto I believe, which indicates it could be artificial in nature. Mars, the moon, it seems like there is quite the story all around us.